We offer a great selection of craft books great for ideas and techniques. Click here to order our books. Bad dreams are caught in the webs of a dream catcher and disappear by morning light. Full color photos of 33 projects. 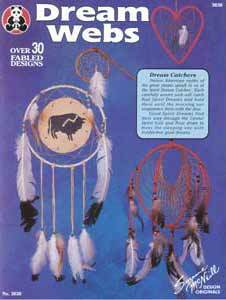 Basic tips and instructions for making dream catchers and medicine wheels. From simple webs to complex shapes and combinations. Decorative Teepee, Medicine Pouch, A few types of dream webs, directions for making shaped feathers. 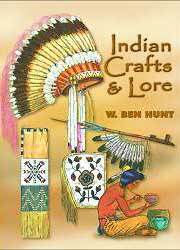 Explains in detail, directions on how to make Native American craft projects. 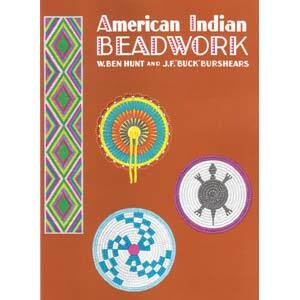 14 full color illustrations of beadwork designs. This book is a reprint of the 1951 edition. Seminole, and other tribes. Adapted from textile patterns, wood carvings, ceramics, and other traditional craft forms, the royalty-free designs include abstract and floral motifs as well as human, animal, and mythical figures. gold and precious stones, shells, bone, and other materials. Introduction. 31 halftones. 136 figures. 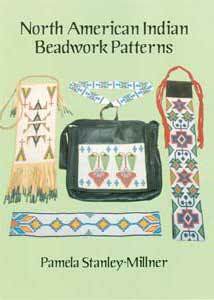 Inexpensive do-it-yourself book provides 72 charts for bead weaving, 12 full-size patterns for bead appliqué. 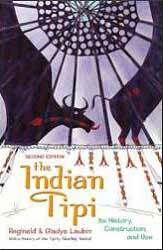 All based on authentic designs of Cheyenne, Sioux, Crow, other tribes. Weave belts, headbands, sashes, etc. Decorate handbags, vests, blouses, more. Complete instructions, color keys for every chart and pattern. Sioux buffalo hides, and more. symbolic figures and animal motifs. 128pp. 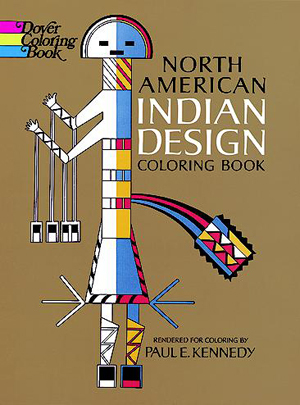 Revised in 1977, this 2nd edition contains lots of new material, such as information on the history, construction, and use of the Indian tipi. There is a huge amount of new info on day-to-day living, Indian cooking and recipes, making buckskin, moccasins, cradle boards, rawhide, plus a new section on child care and general household hints. 350 pp: 71 photos (22 in color) 65 illus. By: Susan Jennys and Illustrated by Alex Koslov. At last, a book devoted to women's dresses and accessories is available! 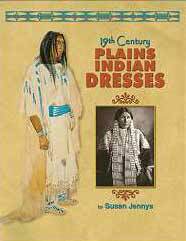 Covering the Northern, Central and Southern Plains, as well as the Plateau, this comprehensive craft guide shows how to recreate both cloth and hide dresses of the 19th century, as well as the accessories worn with them. Using original texts and other period source material, the author discusses the historical background and tribal styles in vogue from the time of Lewis and Clark to the beginning of the reservation period. Lavishly illustrated with drawings by Alex Koslov and many fine, full color photos of some of the most exquisite original examples from world collections, this beautiful volume contains a wealth of information that no Indian craft worker or living history buff will want to be without. The highly detailed instructions on making various dress styles are augmented with over 100 excellent illustrations of techniques, layout, women's accessories, and designs, along with 82 full color photos of original examples, and 25 early photos and paintings of the period. 104 pages, full color, softbound. 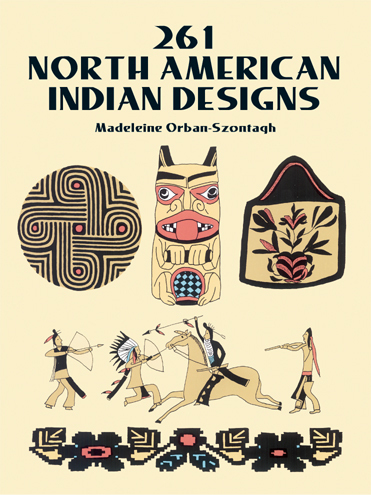 71 authentic examples of Indian design from Indian masks, beadwork, pottery, metal, stone, and wood selected and redrawn by Paul Kennedy. Sandpainting of gods, battle scenes, geometric designs, birds, flowers, animal figures, more, by Eskimo, Northwest Coast, Pueblo, Navajo, Plains, Chippewa, and other tribes. All material identified. Out of print for many years, this is a classic how-to book and we are pleased to make it available once again. 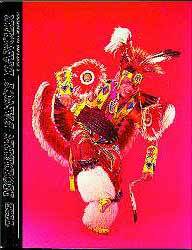 Loaded with fully illustrated projects and instructions on how to make items such as regular and double trailer war bonnets, horned bonnets, hair roaches, pipes & pipe bags, parfleche, moccasins, necklaces, bustles, breastplates, war shirts, leggings, dresses, drums, tipis & totem poles. 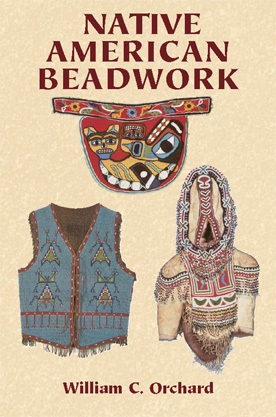 A section on beadwork techniques includes several patterns and discusses designs & symbols. Several specialty dances and their outfits are covered, along with various dance steps, tribal locations and origins of the American Indian. This comprehensive book is a must for any library on the subject and contains 112 pages with hundreds of full color illustrations.